"They should put Prince on the $20 bill and call it $19.99... 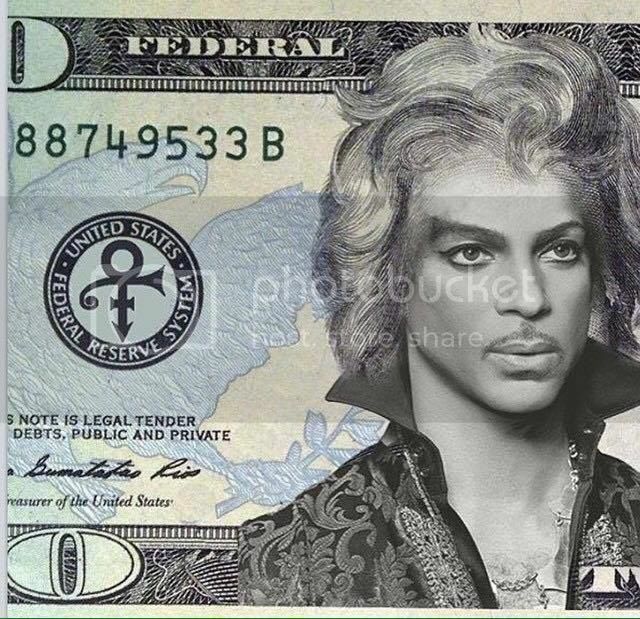 It's "The bill formerly known as a twenty." That's awesome!! Love what's written underneath it about it being formerly known as a $20. That'd be a Funky Dollar Bill. To the powers that be: Do it! And change the national anthem to Princes "America"